While other modern presidents may have been bigoted, none acted on their bigotry as much as FDR (Woodrow Wilson and Barack Obama fight for #2). 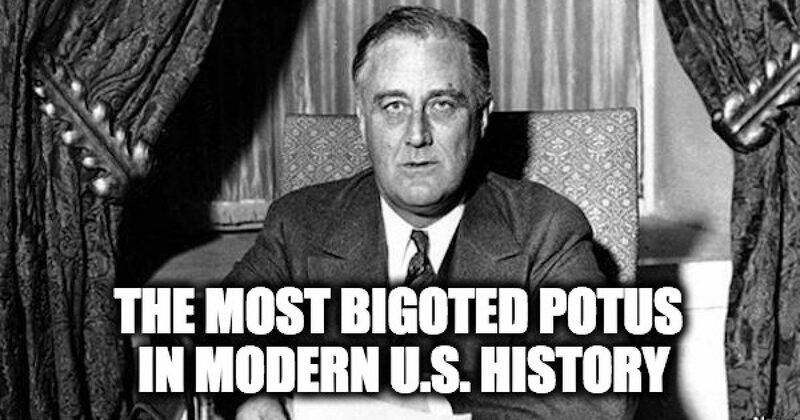 Liberals will claim that FDR had many Jews in his cabinet which is true, but it doesn’t mitigate his bigoted actions. Granted Roosevelt gets points for picking great Generals and led this country to victory in WWII. But he made the great depression longe, in 1937 his economic programs made unemployment spiked again reaching 19% (the previous high was 25%), his freedom-sapping policies never did get this country out of the Great Depression, and he tried to circumvent constitutional by packing the supreme court. 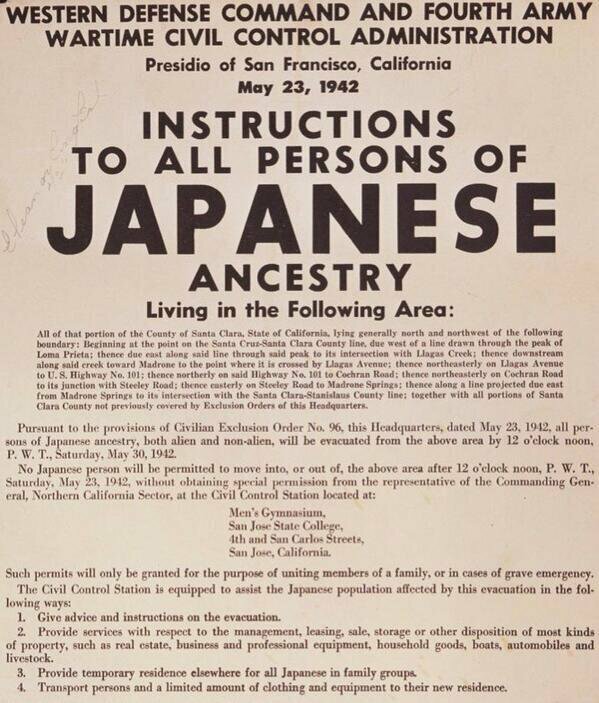 Then there’s the issue rarely discussed, he was a bigot and not only to Japanese citizens of the US. FDR’s hatred of Jews caused hundreds of thousands to be added to the ranks of Hitler’s victims. The new proof of FDR’s hatred was revealed this week. The FDR released documents revealing “Project M” Roosevelt’s plan to thinly spread remains of European Jewry throughout the world. If the JEW were spread thin they couldn’t do damage or incite hatred. The motivation for the project wasn’t that Roosevelt didn’t know the best place to settle the Jewish refugees, he just didn’t want them in the United States. It is sad to consider that Franklin Delano Roosevelt is considered a hero by most Americans when the real truth was that he was a bigot who caused the death of almost 200,000 Jews and threw AMERICANS of Japanese descent into camps.And at the same time Project M’s reports were sent to the Oval Office, so did the reports of the horrid medical experimentation on Jews, the starvation and torture of Jews in camps, extermination of Europe’s Jews in the Nazi Holocaust. Not that FDR cared.